The 500C’s electric soft top couldn't be easier to use, opening in 16 seconds at the touch of a button. The special sardine-tin folding system which can be opened in 3 different positions means you don’t need to give up any precious boot space. If that wasn’t stylish and retro enough, the 500C can be tailored to suit your individual taste. Choose from three different roof colours, 11 body colours and ten different wheel types. Creating the perfect Fiat 500C couldn't be easier! To help reduce emissions and preserve fuel, the innovative eco:Drive system analyses your driving style and offers handy tips on how to drive more efficiently. Other features include the Blue&Me™ navigation system, which enables you to play music and answer your phone through voice control without having to take your hands from the wheel. A selection of engines are available, all of which are fuel efficient and meet the stringent Euro 5 emissions standard. 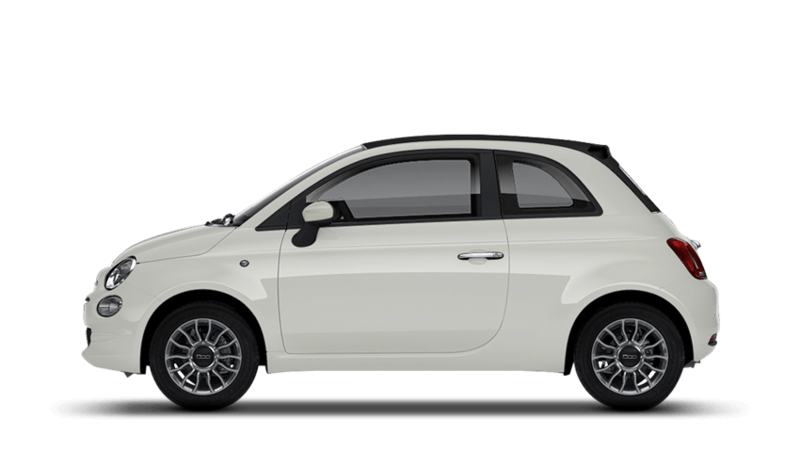 After purchasing a new Fiat 500C from one of our Fiat Centres- at Ashington, Newcastle, Silverlink & Sunderland, you can get prepared for the future with a Fiat service plan to help give you peace of mind and spread the yearly cost of maintaining a car. In stock we also have a large quantity of genuine Fiat car parts, so if anything needs replacing you can expect your car to be maintained in-line with the manufacturer’s high standards.